The ultimate in power and flexibility for your home automation system, with broad support for the devices and network you already own. 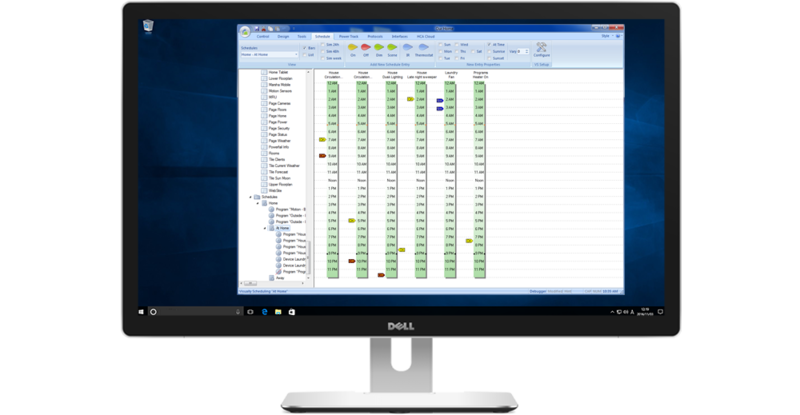 Shouldn't your home control software be as custom as your home? Home Control Assistant is built from the ground up to put the power back in your hands. Don't just control your home - program it the way you want. 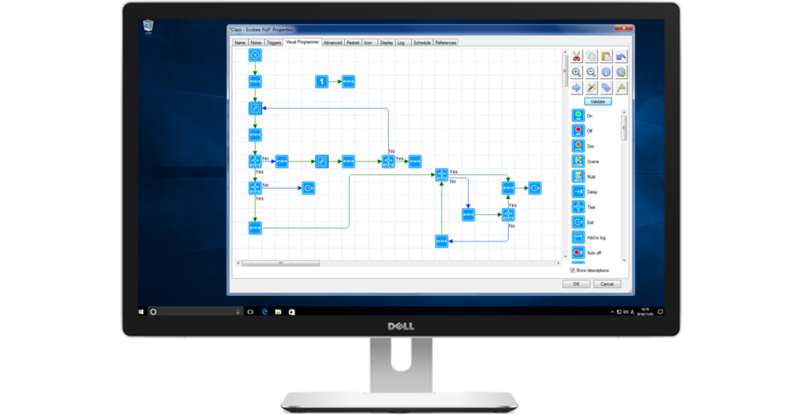 HCA includes built-in support for most popular gear and tools to build your solution. 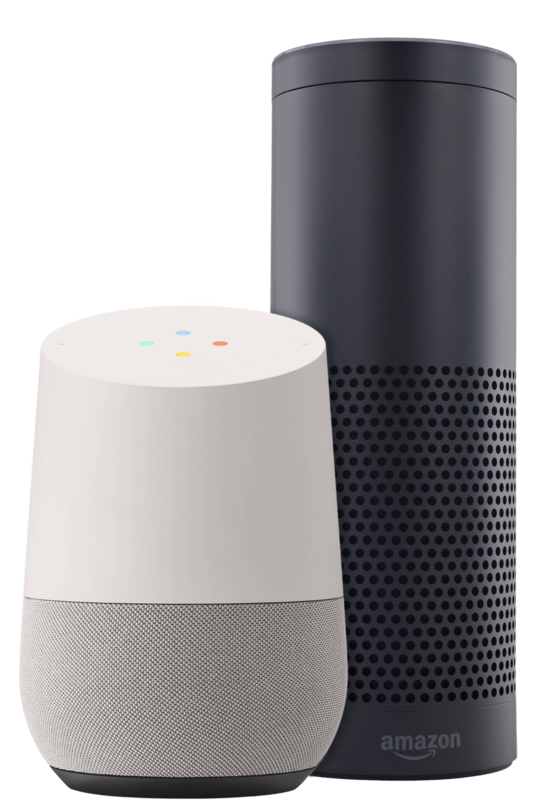 HCA offers integration with the Google Assistant and Amazon Alexa. Program your home in detail without writing a line of code. Add partner connections and HCA Developer features. Watch your home as it makes decisions based on your programming. Turn complex tasks into simple one button commands. Control your home from inside the house, or around the world. HCA is documented and supported by the same engineering team that crafts it. HCA is built from the ground up to put the power to innovate into your hands. Home Control Assistant plays well out of the box with Insteon, UPB, IR, Wireless, IP connected devices, thermostats, IP Cameras, weather, and X10. (Built-in support for some types of devices requires HCA Plus). Interface with any device that talks over a serial, USB, or IP connection with very little fuss or muss. 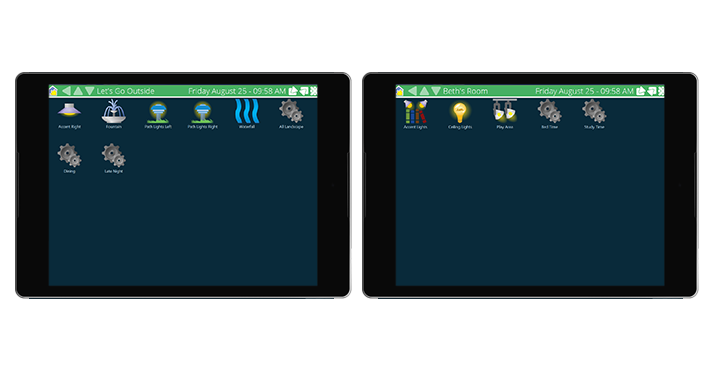 Use Home Control Assistant's powerful visual tools to quickly add support for device types not built into HCA out of the box. You can even export and share that implementation with other HCA installs. Client Server opens up possibilities of remote access, voice assistants, multi-stations, and the whole cloud. Home Control Assistant speaks both Amazoneze and Googlian. With a few easy steps, your Amazon Echo or Google Assistant device becomes the hub from which you can command your entire home. Call for a single light, control entire scenes, or trigger an HCA program, all with names you choose. Connect HCA to Google Assistant through the Home Control section of the Google Home app. Just add HCA to Alexa through the Smart Home section of the Amazon Alexa mobile app. Enticed? Try HCA free for 30 days! Build incredibly powerful handlers for events and condition-dependent actions without ever writing a line of code. No more painful scripting. Home Control Assistant's visual features put the power to innovate and customize back in your hands. Want your cloud-based doorbell to trigger HCA to check the time of day or even the weather before deciding how to respond? Synching HCA with popular cloud-based Internet of Things services puts the power to innovate in your hands. Trigger devices, scenes, and HCA programs based on cloud events you configure. 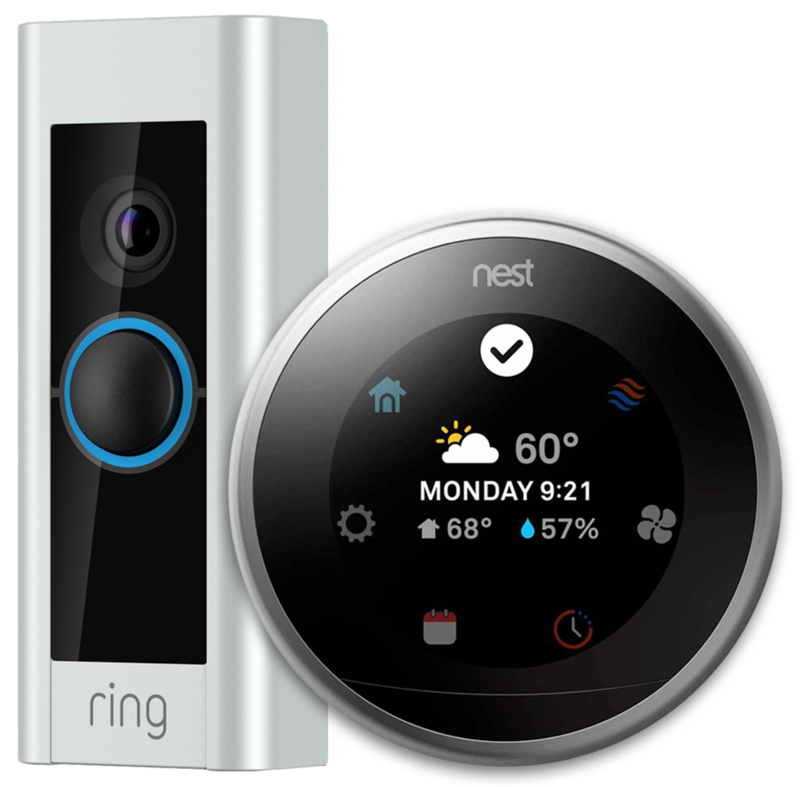 Connect with devices in the cloud like the Ring doorbell, Nest thermostats, alarm panels, and more. To make your home truly "smart," it has to be able to make decisions and anticipate your needs on its own. Still, HCA makes it easy to keep an eye out under the hood and helps you catch and remedy problems before they grow. HCA has extensive time based logging of receptions, transmissions, program actions, etc. This is your first stop to see what happened when and to trace down problems in the logic of your home. Things go right but sometimes they don’t. HCA transmits to a device and the device doesn’t respond. The Alert Manager finds problems like these and logs them for you to look at later. Set up a keypad to start a program but forget to link the keypad button? Every time you make a change the HCA design checker looks for these kinds of problems and reports them. Got a great program that you want to share or looking for some programs created by others? With import/export and the online library you can easily add new function to your design and share what you have built with others. Home Control Assistant adapts to be an automation solution that works for you, regardless of your skill level or needs. The simplest set of tools are configurable with a few checkboxes, to get you started fast. 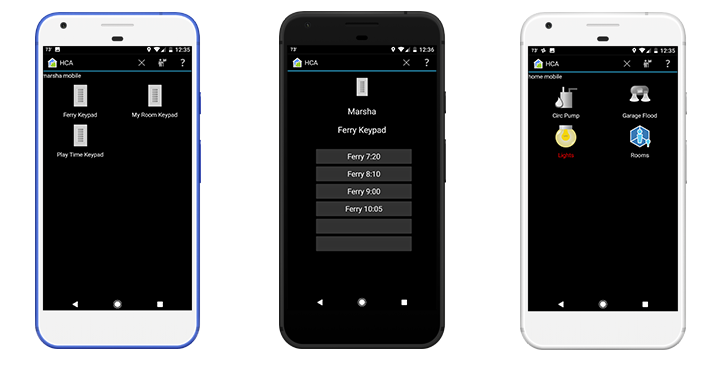 With no programming you can easily configure an auto off for a device that can be different at different times of the day, specify how different devices in the same room interact, or set up devices to respond as you move through your day – at home, away, asleep. 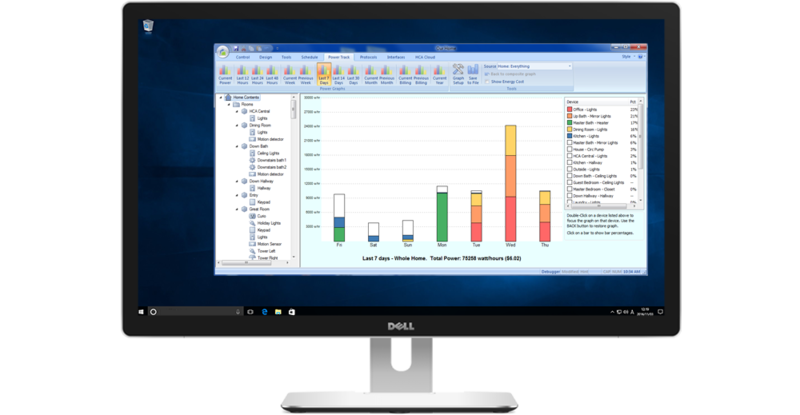 Then, over time, tweak and advance your system as your needs and tools become more sophisticated right along with you. Using HCA in a client-server configuration allows you to tap into your HCA installation from anywhere in your home, or around the world. Interact on your own terms. 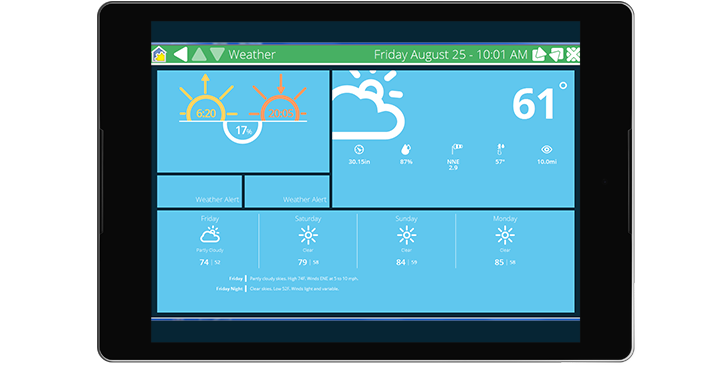 Build custom user-interfaces for each control device you use. Simple for kids or guests; powerful for you. HCA supports multiple control surfaces around the house so the controls you need are never out of reach. Command your home from right on the sofa, or from the other side of the world, on your iOS or Android device. Home Control Assistant is designed to be extensible and powerful. We've worked hard to make sure that you can unlock the full power of your home with thorough and well-maintained user guides and a video tutorial library. More than that, we've gone out of our way to explore how our product connects to others, and also made it easy to contact us with questions. To get you to success as soon as possible, we took all our knowledge of what new users need to do and distilled it down to a series of Getting Started Guides that take you step-by-step from install to voice control. To make sure you never miss an opportunity, we wrote a complete User Guide that explores each feature in-depth. There's also a Quick Start guide, distilled down and ready to get you up and running right away. We recognize that some elements of the home automation space remain... quirky. For those complex cases, we've created a library of thorough tech notes, updated frequently, to explore how to unleash the power of HCA to tame even the wildest integrations. Why tell you when we can show you? We've created a Home Control Assistant 101 video series designed get you started using the incredible power of HCA in your home quickly and easily. Check it out. Two Options to Meet Your Needs! Choose your HCA edition to get started, or give HCA Plus a shot for 30 days. Confused about the differences? We have a helpful chart that tells all. Excellent for a simple installation! Want to upgrade or purchase from a reseller? Join us here for periodic news. You can unsubscribe any time. ©2017-2018 Advanced Quonset Technology, Inc.